Be present for all life has to offer! This set of guided visualizations will help you pay attention to the space between activities so that you can seamless transition from one task or area of your life to another. 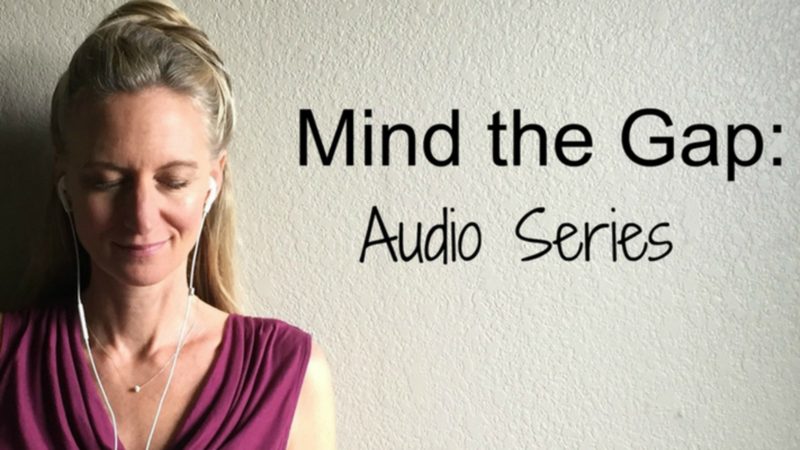 I call it “Minding the Gap.” In just minutes, these audios offers simple solutions for moving through life with grace and ease. Wake Up Refreshed -- Move from a state of sleep to alertness, ready to start your day with a positive attitude. Get to Sleep -- Move from your busy day to a place where you can receive the benefits of a peaceful, restorative sleep. From Home to Work -- Put your worries about home on hold so you can focus on your job. Time with Someone Special -- Go within and let the outside world fade away, so that you can be present with someone you love. Make a Decision -- Move from confusion to clarity when you need to make a decision. Unplug from Work -- Clock out from your career so that you can enjoy other aspects of your life. Mind the Gap - Be present for all life has to offer! Ready to shed the Wonder Woman persona? Let me help you become a Woman of Wonder! I can't wait to share tools and techniques that will help you create a calm, balanced and fulfilled life -- the life you know you can have! Oh, and don't worry, I get your busy life; I'm not email crazy and never share your info with anyone else!